To our valued customers, it is with great sadness that we let you know the orchard will not be open this year. Mother Nature was not kind to us this spring and her wrath continued through the summer. With a warmer than normal March, the late frost in April hit us at First Bloom, taking out 90% of our apple crop. What apples remained, didn’t fare well with the drought. The drought also killed the pumpkin crop. It is quite amazing how much small farms and orchards are at the mercy of Mother Nature. These smaller farms do not always have the means for the equipment and labor to combat the weather. Johnny Appleseed’s Orchard wants you to know that we appreciate every one of you and the support you give to our small orchard. We will be back next year better than ever. Feel free to contact us via our FB Page, Website or phone. Thank you again and see you next year. 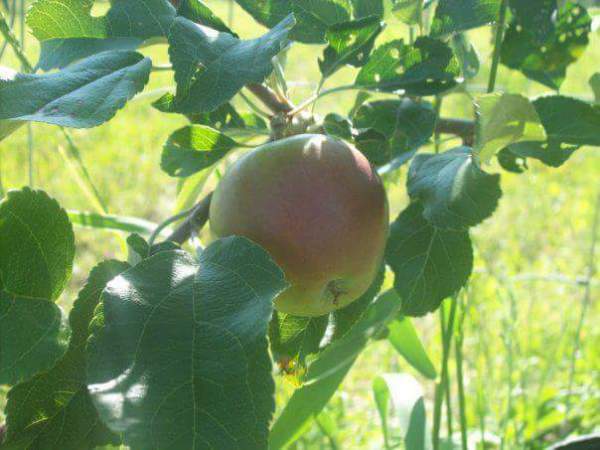 Our orchard has about 1200 apple trees. Honerycrisp is our most popular and don't worry we have plenty. Some of our other varieties include Gala, Jonamac, Macoun, Liberty, Fuji, Nitany, and Royal Court. Keep checking back here and our Facebook page for harvest dates. We take some of our best apples to a local cider mill to make a crisp tasty cider for you. This is all pasturazied and ready to enjoy. Coming Soon. Trees were planted in 2014. Bring the kids and enjoy the pumpkin patch or grap a pumpkin already picked. Each child has a great time picking out their own pumpkin to carve or draw on.